Should I Buy Audi Q3, BMW X1, Range Rover Evoque or Mazda CX-5 Akera? — Auto Expert by John Cadogan - save thousands on your next new car! Should I Buy Audi Q3, BMW X1, Range Rover Evoque or Mazda CX-5 Akera? QUESTION: My mother was looking at buying a new car within the next six months. Preferably before the end of financial year deals. We were looking at the Mazda, BMW, Range Rover and Audi. The BMW and Audi seem a little too expensive and stripped down. The Range Rover is the cheaper of the "luxury" brands, and were wondering if it's worth the extra few thousand for the Range Rover over the Mazda CX-5 Akera? We got a really good quote for the CX-5 Akera of $47,900 drive away (which seems like a steal). 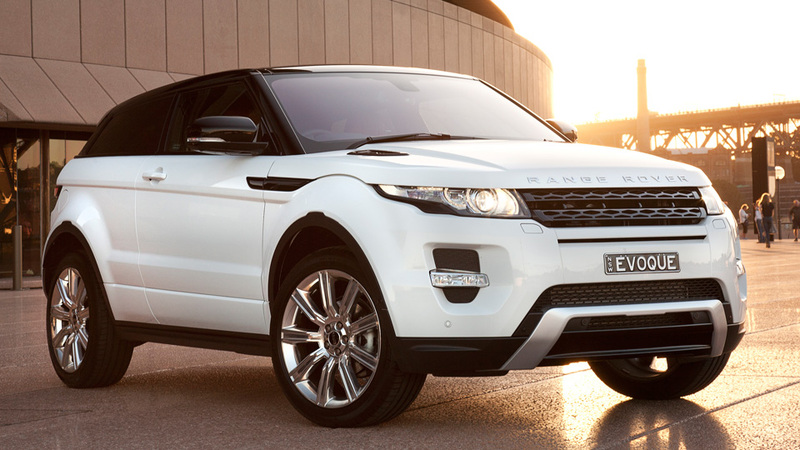 We know the Range Rover Evoque is around $50K excluding the on road coasts. The CX-5 seems really good (we test drove it), but it seems a little out of date, when compared to the newer Mazda3, and what that has standard. So we were thinking of waiting six months for Mazda to release an updated CX-5, since its been around for a few years. What are your thoughts on all of this? PS I love your honest videos. Nick. Nick, thanks for the kind words mate. I'm having fun doing the videos. I'm pretty sure there's no real pressure of time for your mum. The car market is significantly down this year, so there will be significant discounting after the end of the financial year. You haven't given me a budget ballpark but I'm assuming $50k is where you're at (it's hard to spend more than that on the Mazda CX-5 in any case). The Audi Q3, BMW X1 and Range Rover Evoque are notionally 'premium' products - whatever that means. When you buy a premium product it's often impossible to justify on the grounds of objective value. For example: an Omega Speedmaster Professional wristwatch for $4000 (or something like that) doesn't tell the time any better than a Casio G-Shock... And (not that I know anything about this) I assume a Prada handbag doesn't really hold one's lippy (and whatever other scary stuff might be required in a woman's handbag) any better than a tote from Target. If you are thinking about owning a $50,000 car it's important to get the finances right. This can make a profound difference to both tax-effectiveness and cost-effectiveness. Cost of the finance varies widely as well. If the bank just quoted you 10 or 11 per cent for a car loan, tell them to shove it - because single-digit finance is available from reputable Australian lenders. So, the thing about these premium brands is: there are no grounds for the justification of the purchase other than you want one and it's a better fashion accessory than a Japanese or South Korean equivalent. This is why I have used the Mazda CX-5 Akera Diesel as a benchmark for value against all three vehicles on your mother's short list. The bottom line is: The Mazda CX-5 Akera diesel does a better job for the price every time, and is also far superior on reliability than both Land Rover and Audi. 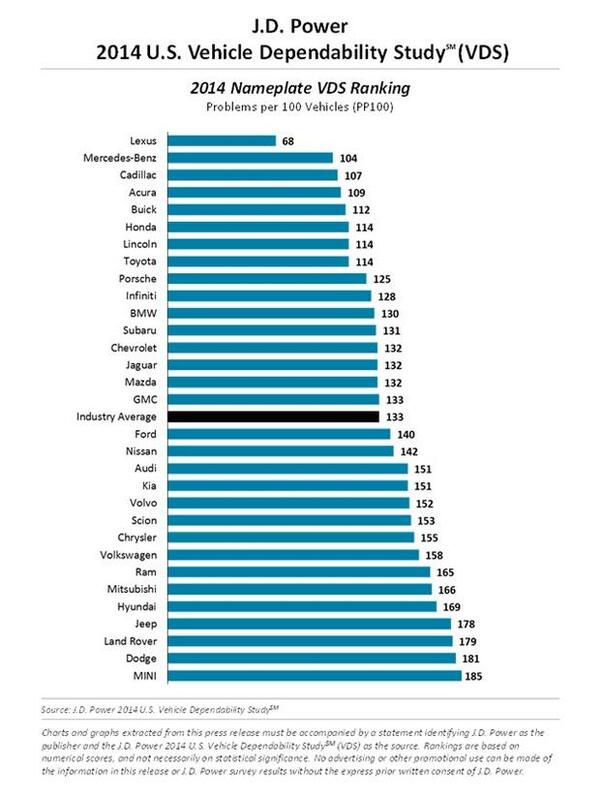 (Mazda is 1.5 per cent below BMW on reliability overall.) This is assessed by JD Power and Associates - click the image on the right to see the JD Power results for 2014 in greater detail. JD Power is an independent ratings agency in the USA. Unfortunately the same data is not publicly available in Australia. It is, however, still relevant to us. The CX-5 seems a little out of date, when compared to the newer Mazda3, and what that has standard: I don't agree - I can't think of a single equipment item that is glaringly absent from the CX-5 Akera diesel. About the only thing the new Mazda3 SP25 Astina has standard, which the Akera lacks, is a head-up speed display. So we were thinking of waiting six months for Mazda to release an updated CX-5: I'm unaware of any plans to comprehensively upgrade the Mazda CX-5 range any time soon. There was a model range equipment tweak late in 2013 that added some fresh technology (city safety auto braking, auto dimming rear-view mirrors, blind spot monitoring) plus revised dampers and bushes for better handling, and additional colours in the range. It seems unlikely that a further serious tweak will be forthcoming in the near future. Which Engine Oil Should I Use in My Old Car? Should I Buy a Range Rover Evoque?